Mike Powell is a veteran training professional. With over 15 years of training and development experience Mike has helped equip over 15,000 employees with the skills to be successful both personally and professionally. A dynamic speaker and trainer, Mike draws upon the lessons learned from his unique personal and professional experiences to help individuals and teams expand their capacity for success. He has delivered keynote speeches and facilitated engaging workshops for organizations and events across the country. And through his passion and commitment, many people have been inspired to reach their potential and exceed their goals. A native of Prince George’s County, MD., Mike graduated from Oxon Hill High School in 1996 and attended Hampton University, earning his Bachelor’s degree in Psychology in 2000. He received his Masters of Business Administration at Southeastern University, and completed post-graduate work in Strategic Leadership at Regent University. 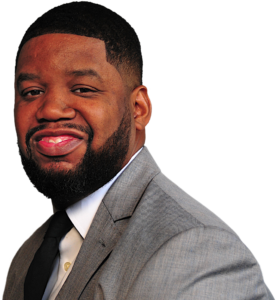 He is currently a faculty member of the Gestalt Institute of Cleveland and is a past board member of the Avonridge Community Development Corporation in Hyattsville, MD. Mike believes leadership is about service. He looks forward to continuing to use his gifts, talents, skills, and resources to serve people across the world.